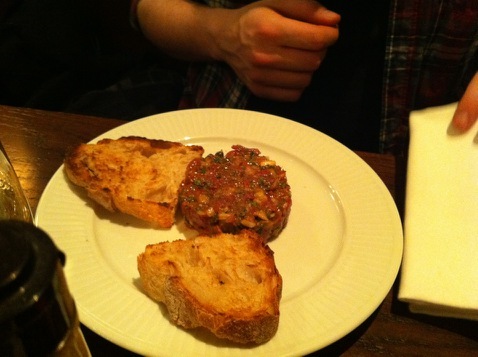 I’ve been waiting to taste Steak Tartare for a while. And I can finally say I have. Beautiful starter at a beautiful meal last Friday – a tasty blend of meat, raw egg, herbs and spices.